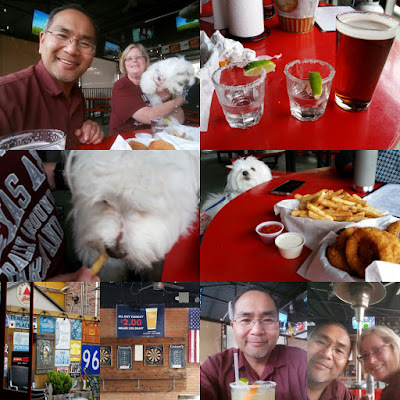 While You Are Dining: Dempsey's Place in McKinney.. for Drinks and Appetizers! Dempsey's Place in McKinney.. for Drinks and Appetizers! Margaritas, Beer, and Tequila Shots plus Onion Rings and French Fries while we chill at Dempsey's Place in McKinney with Charlie the Maltese Puppy! Great way to just do nothing... but chill! Damn we like this dog!